I was looking through some keepsakes that are important to me. Some old family things that probably don’t mean much to anyone else. We all have them, we all love them. And then I thought about people who lose all those things in floods or storms or fires. How devastating that must be. Because while homes and cars and property can be replaced, keepsakes can’t be. I’ve got to sort through my keepsakes because I probably do have a few more than I need, especially from my parents home, and so off I went today. The first few boxes were off-limits, my parents letters to each other during his years in the service. Family pictures going back a century now. I tried to sort through some old pictures in frames and couldn’t think about getting rid of one of them. Then I lifted a box of some old dolls that my mother had kept through the years. I’ve gone through the family and a few have been kept, but there are more that need a new home besides sitting in a large Tupperware type bin. 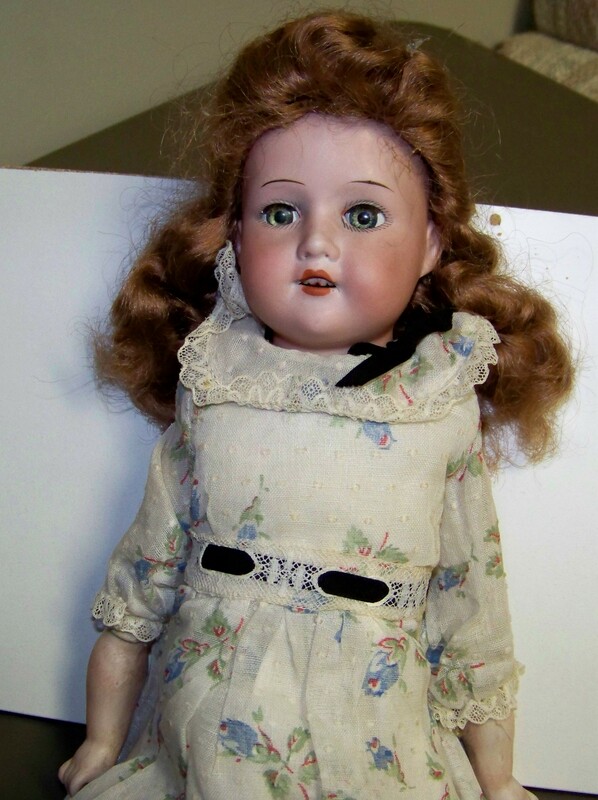 A couple of these dolls are very old, so to the antique and appraiser places I will go. A new experience for me. Kind of funny that I’ve held onto them so long. I’m certainly not into dolls. But I know some were my Mom’s and I believe one of the old porcelain ones was her Mothers. I don’t know for sure but that seems like something my Mom would have kept. Hell they might not be worth much of anything, but my gut tells me differently. They are in very good condition though and old so we will see. This is one of those things that would have gotten chucked out in most homes where a parent is passed. They were in an old broken down chest that smelled of moth balls. Actually that was the chest under it but the smell had gotten into the one sitting on it. But as usual they were tightly wrapped and placed in this chest with care. I wish I had gone through them with her when she was alive so I could know the story behind them. But now these dolls will either make a collector happy and I’ll use some of the money towards the animal shelter and towards a new doll for each of my children when the day comes for our grandchildren. Or I could finally make use of the Ebay account I set up a while back and see what they would do online. One of the porcelain dolls looks like it could be in the hundreds of dollars given some prices on the size and age of the one I looked up. But I think I’ll start local first and see what they say about them. So get ready Howard County Antique stores, here I come. This will also serve the dual purpose of making my better half happy about more space in the basement. I really need to go through the attic also but we will concentrate on one area at a time. I got to have and unexpected dinner with my daughter and better half. What a way to finish out a day. Another good meal at Shannon’s. I’m Jones’ing because there is no Maryland basketball on this weekend. Today I felt like a very lucky and fortunate person. Nothing specific just good to be alive and healthy. It was also a nice restful day for the most part. With the exception of one work email that set me off this morning. I had a post started about it and was three paragraphs into it when I said nope, not worth it. So you’re stuck with this crappy post about dolls. How low I sink when at a loss for time. Figures I’d schedule the coldest morning to go out and do some shooting. I should have had my behind out today.